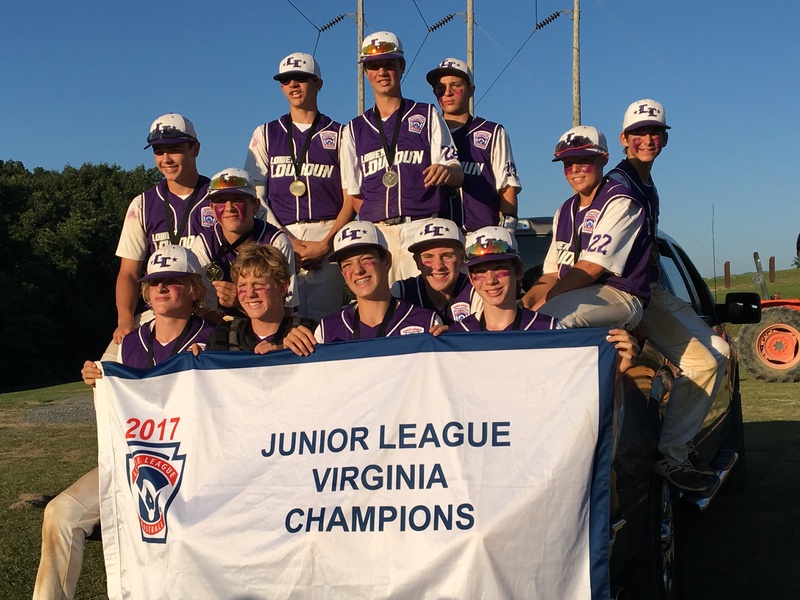 Lower Loudoun Little League, 2017 Virginia State Junior League Baseball Champions! 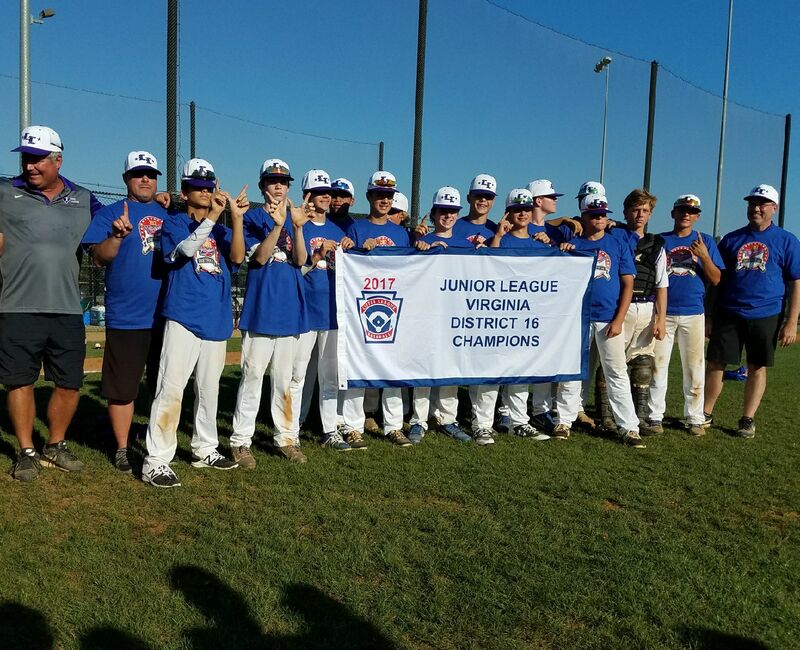 Congratulations to Lower Loudoun Little League, the 2017 Virginia State Junior League Baseball Champions! LLLL will be heading down to Fort Myers, Florida, to represent Virginia State in the Southeastern Region Junior League Baseball tournament, beginning August 4. Central Loudoun Little League American, 2017 Virginia District 16 Little Baseball Champions! Congratulations to Central Loudoun Little League American, your Virginia District 16 Little League Baseball Champions! CLLLA will represent our district at the Virginia State Little League Baseball Tournament in Triangle starting July 21. Freedom Park is closed tonight, Friday, July 14th, due to heavy rain and lightning. The updated plan is to play the LL Championship game tomorrow at 1:30pm. The if-needed game is tentatively scheduled for Monday evening. Game times and fields are subject to further change as we confirm field, volunteer, and umpire availability. Plus, of course, more weather. 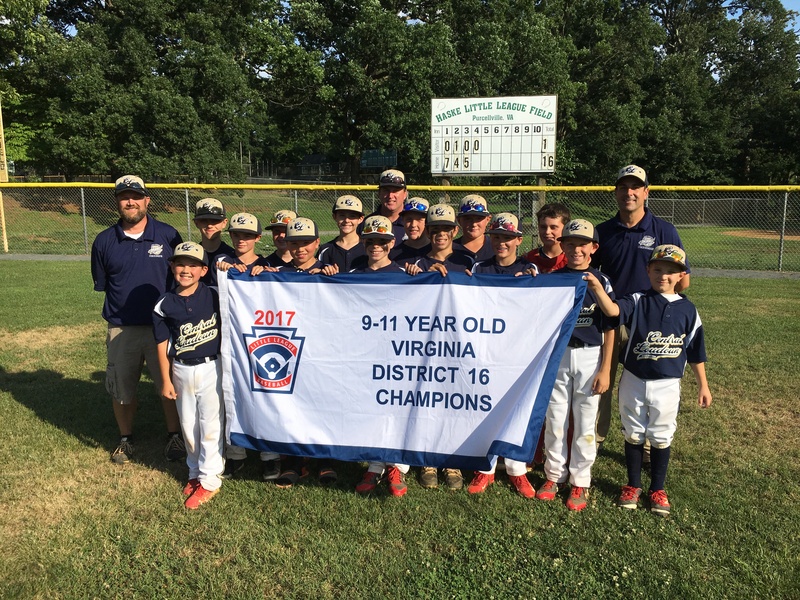 Lower Loudoun Little League, 2017 Virginia District 16 Junior League Baseball Champions! 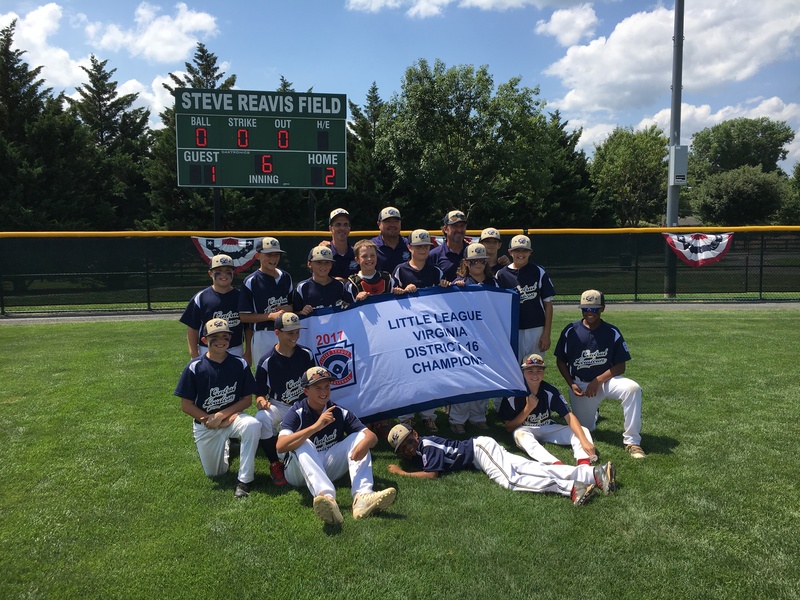 Congratulations to Lower Loudoun Little League, your Virginia District 16 Junior League Baseball Champions! LLLL will represent our district at the Virginia State Junior League Baseball Tournament in Bluefield starting July 21. Central Loudoun Little League American, 2017 Virginia District 16 9-11 Year-Old Baseball Champions! Congratulations to Central Loudoun Little League American, your Virginia District 16 9-11 Year-Old Baseball Champions! CLLLA will represent our district at the Virginia State 9-11 Year-Old Baseball Tournament in Luray starting July 14.